This original piece was created for the Gig Harbor Quilt Festival Breast Cancer Awareness Auction. Proceeds from the auction went to the Susan G. Komen Breast Cancer Foundation, the Washington State Chapter of Casting for Recover, and the Breast Cancer Resource Center of Tacoma. The theme for the auction was Harbor Reflections – A Quilting Adventure. 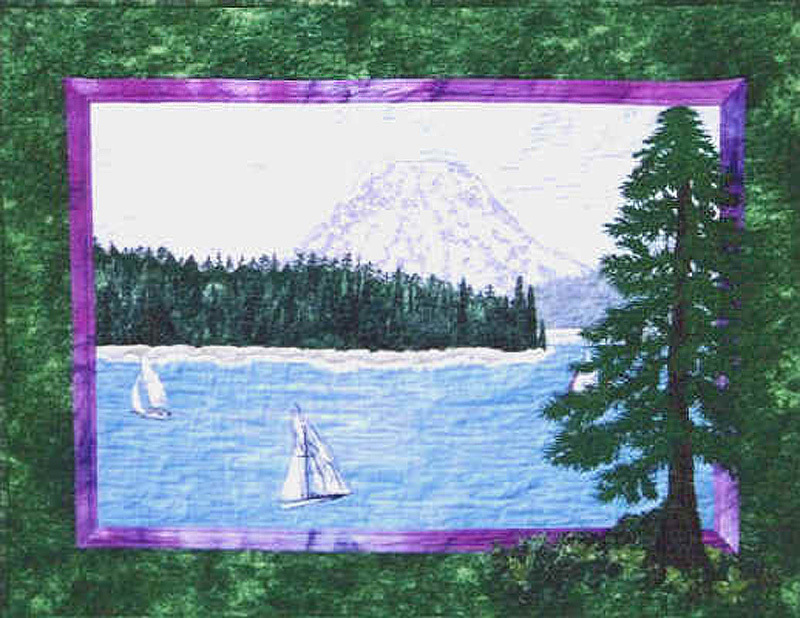 Safe Harbor depicts the quaint village of Gig Harbor with Mt. Rainier towering in the background. 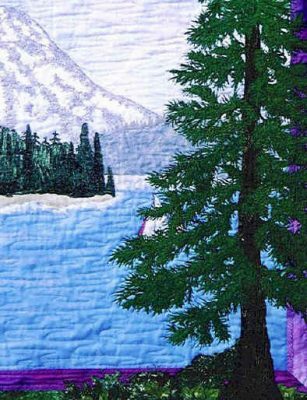 The Douglas fir tree in the foreground was accomplished using a thick 30 weight cotton thread stitched on a boil-away stabilizer and then appliquéd to the surface of the quilt.